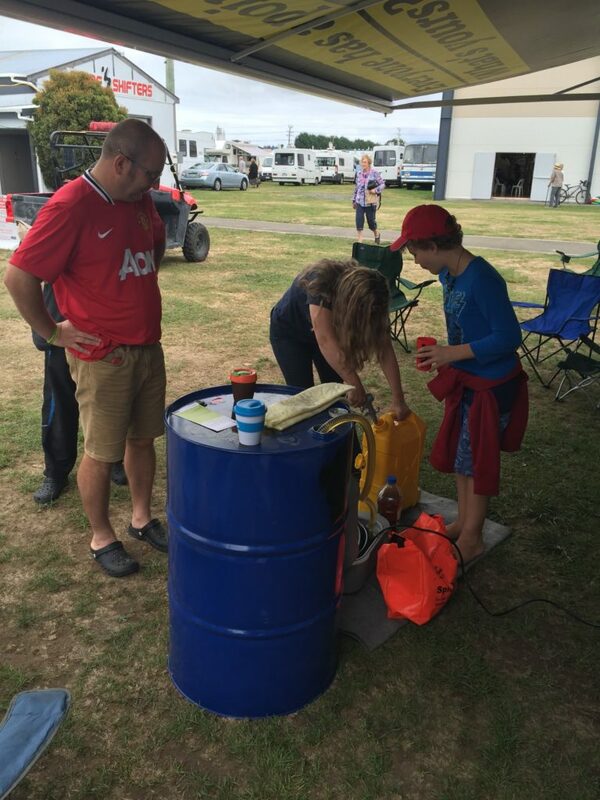 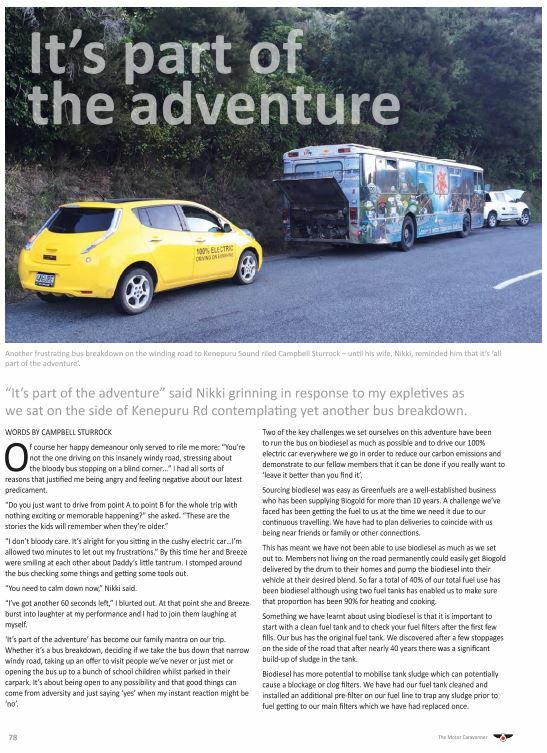 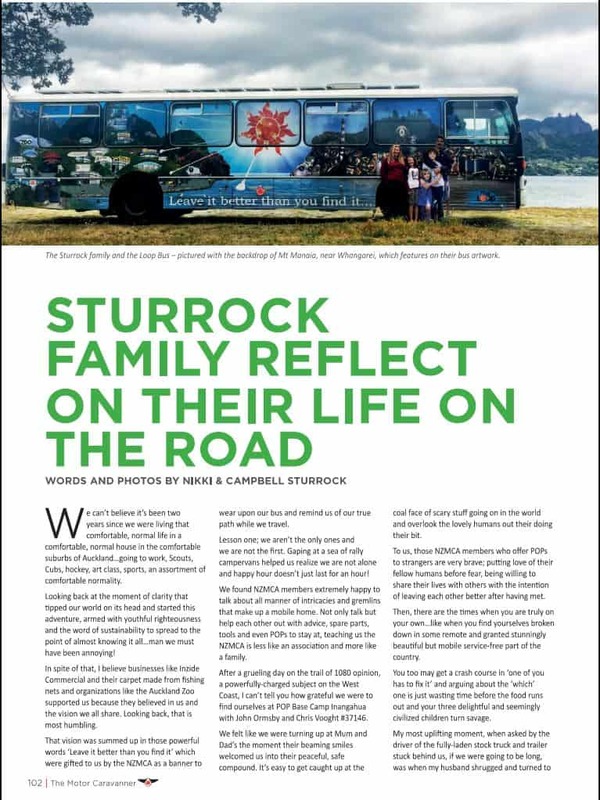 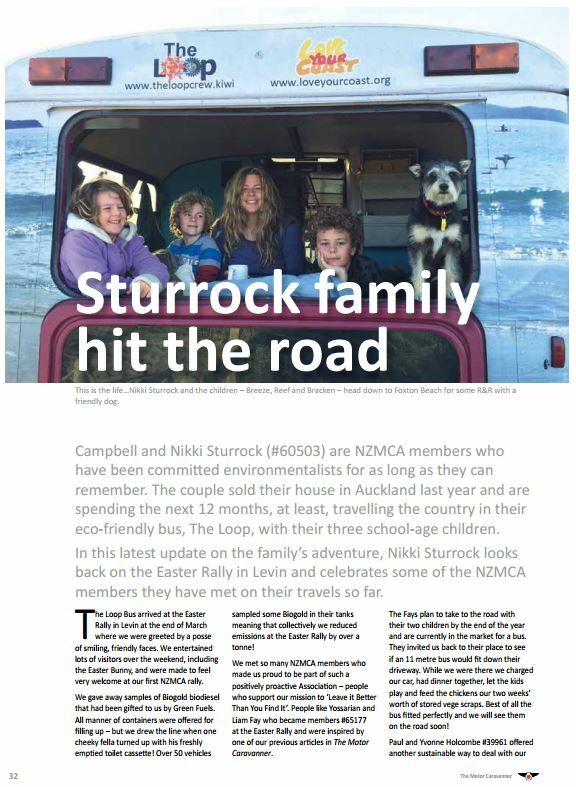 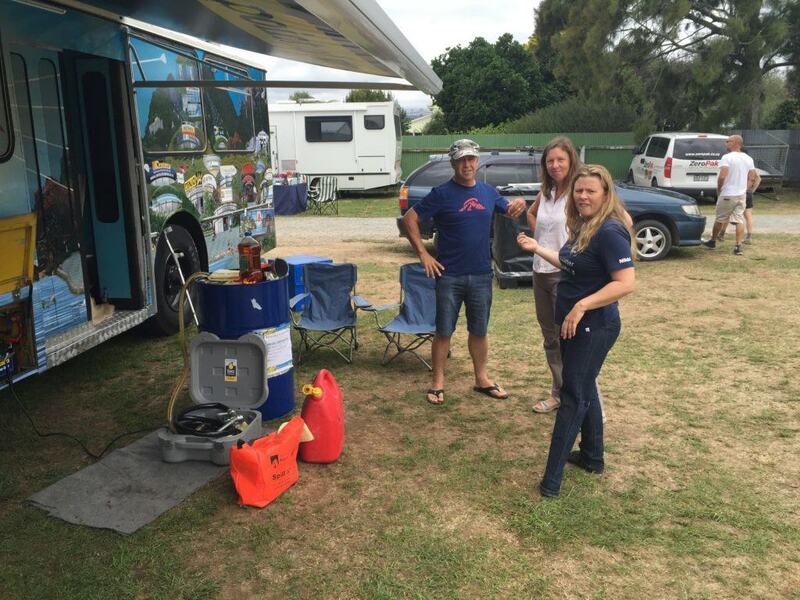 Our latest article is out in the June / July edition of the NZMCA Motorcaravanner Magazine. 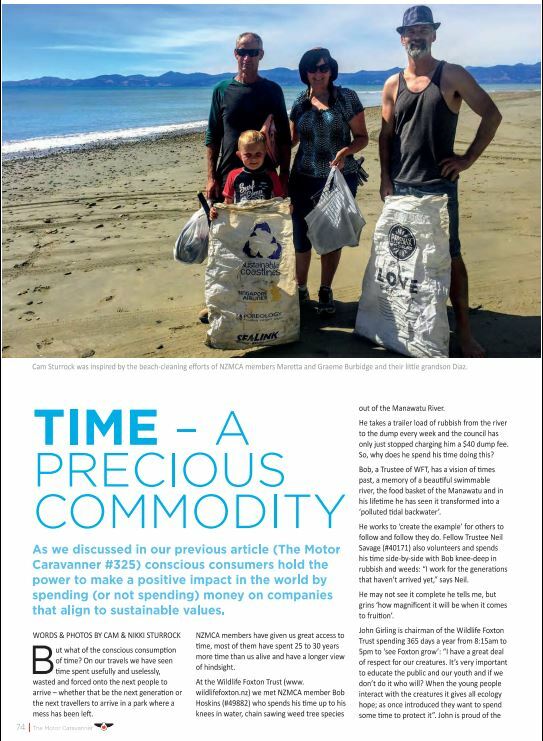 We are meeting some great fellow NZMCA members on our travels who are doing good positive stuff around New Zealand. 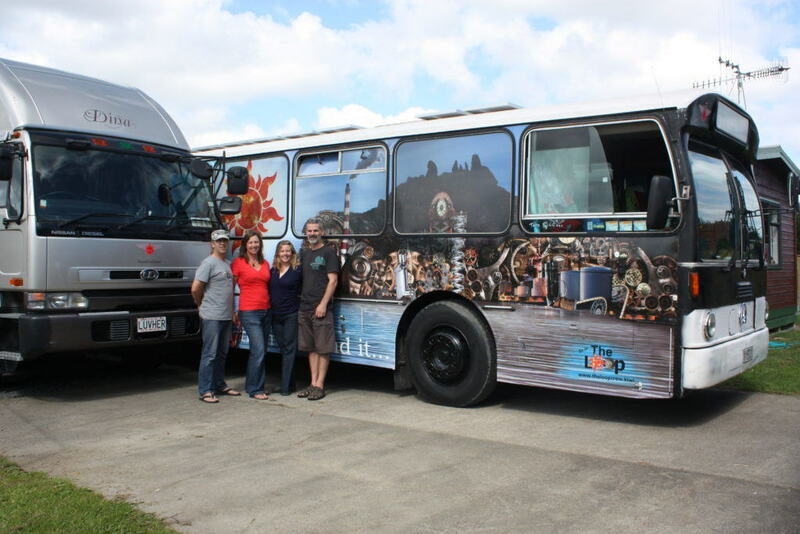 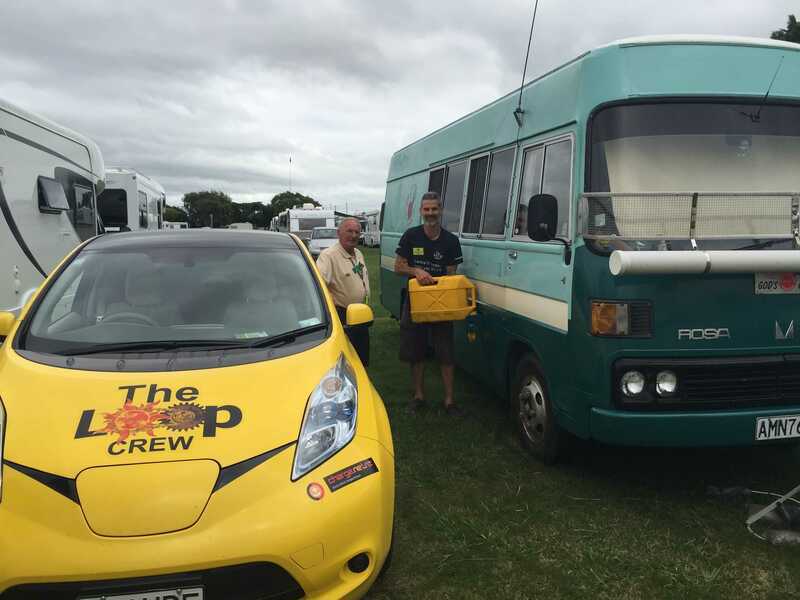 The Loop Bus was greeted by big smiles and waved to a lovely posy in front of the main blow up Covi entrance at the Easter Rally in Levin. 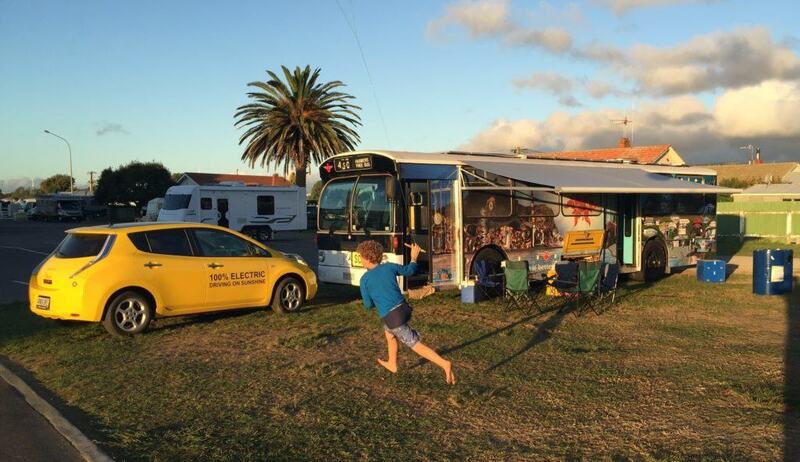 Visitors along with the Easter Bunny made us very welcome at our first rally ever. 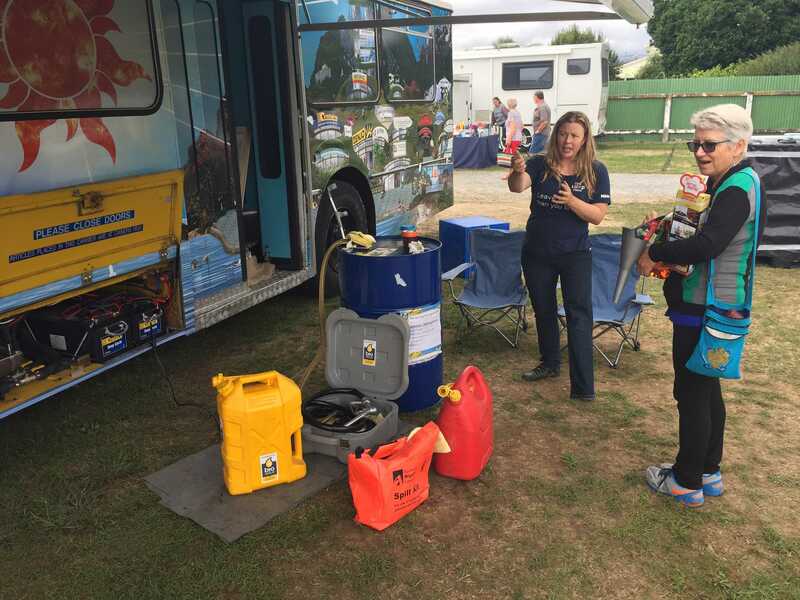 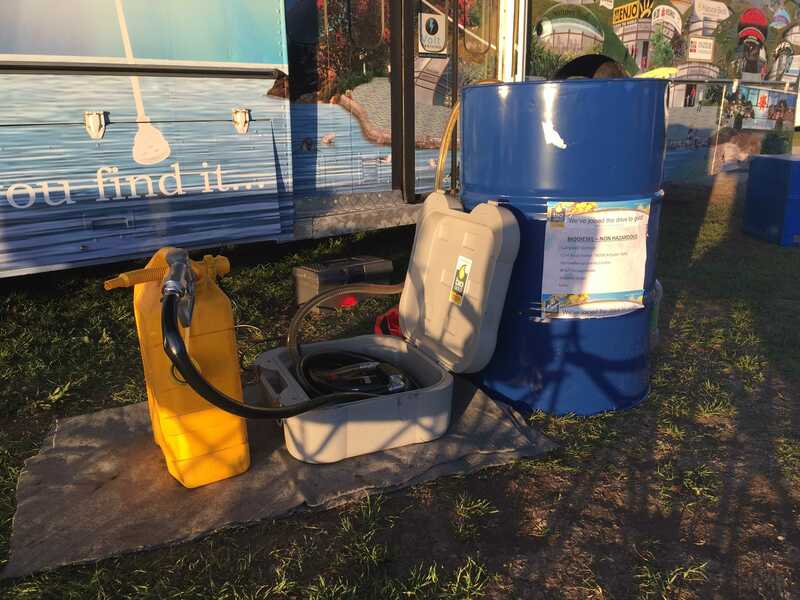 The crowd grew and conversations got more intense and focused when we began pumping and giving away the Bio Gold that had been gifted by Green Fuels. All manner of containers were being offered for fill up, we drew the line when one cheeky fella turned up with his freshly emptied toilet cassette! 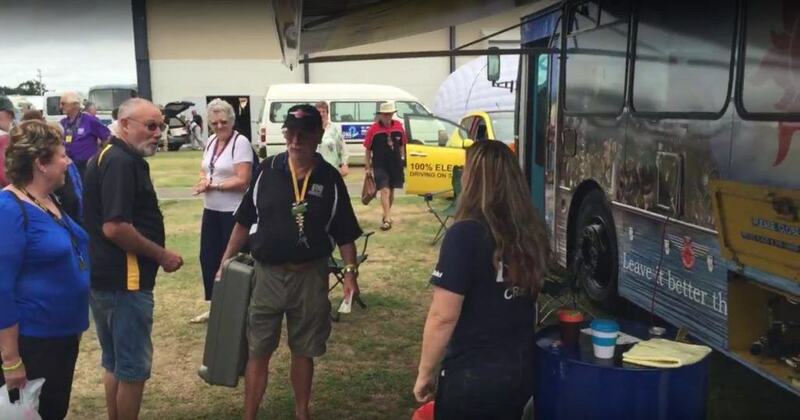 End of day 2 and over 50 vehicles had a taste of bio gold in the tank meaning the 2016 Easter rally collectively dropped their emissions by over a tonne! 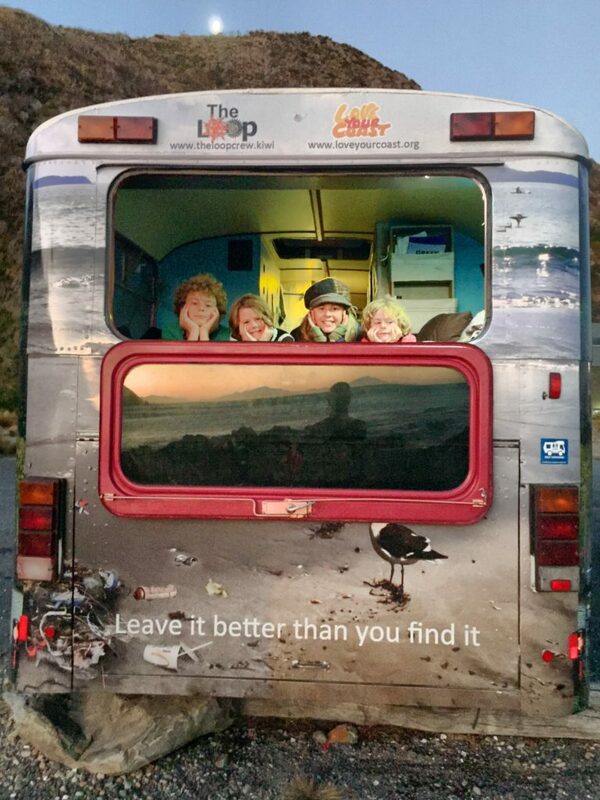 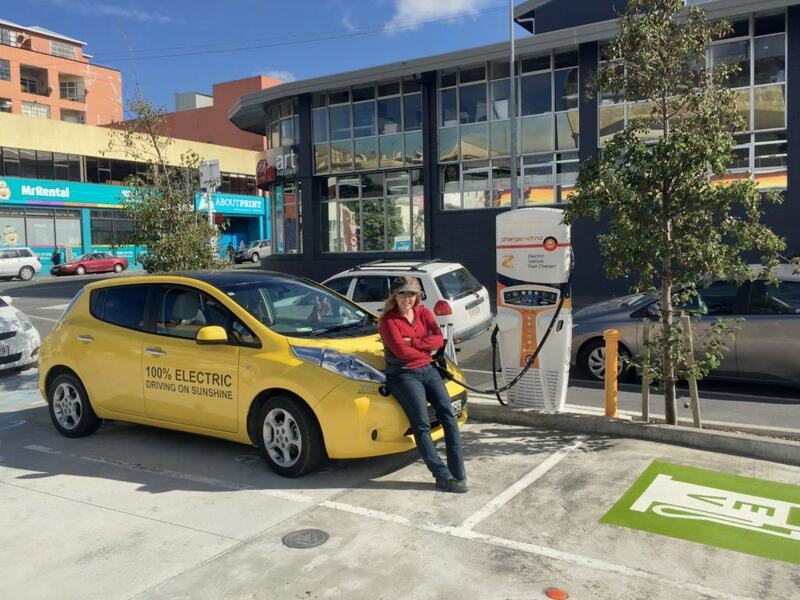 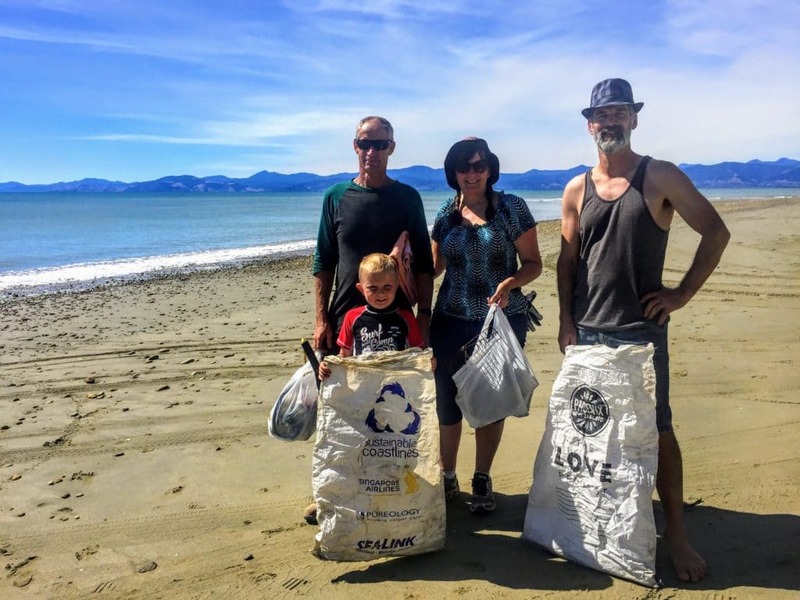 From Levin to Marlborough Sounds we’ve met members that make us proud to be part of such a positively proactive association who are open to the sustainable conversation and willing to “leave it better than you find it”.